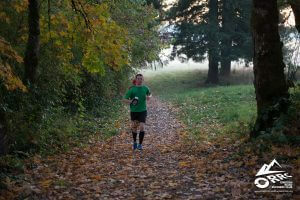 Training marathons can be a lot of fun. There’s no pressure for PRs or times. It’s a day to just enjoy the course (trails in this case) in a low key way and get in a good workout. 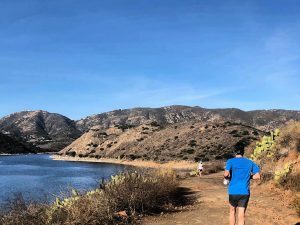 San Diego might be one of the best places for a training marathon. It’s a beautiful and fun city. The San Diego Trail Marathon starts at the San Pasqual Valley Trailhead and takes place at the San Dieguito River Park and Black Mountain Open Space Park. It’s near the San Diego Zoo Safari Park. The course is a mix of singletrack, fire road, and a little paved path. I did the Red Rock Canyon 50k the week before this marathon. I knew I wouldn’t be able to push the pace on this one. The weather was nice for the race in the morning but got a little warm (for this time of year) towards the end the race. At the start of the race I cruised along, taking in the views. 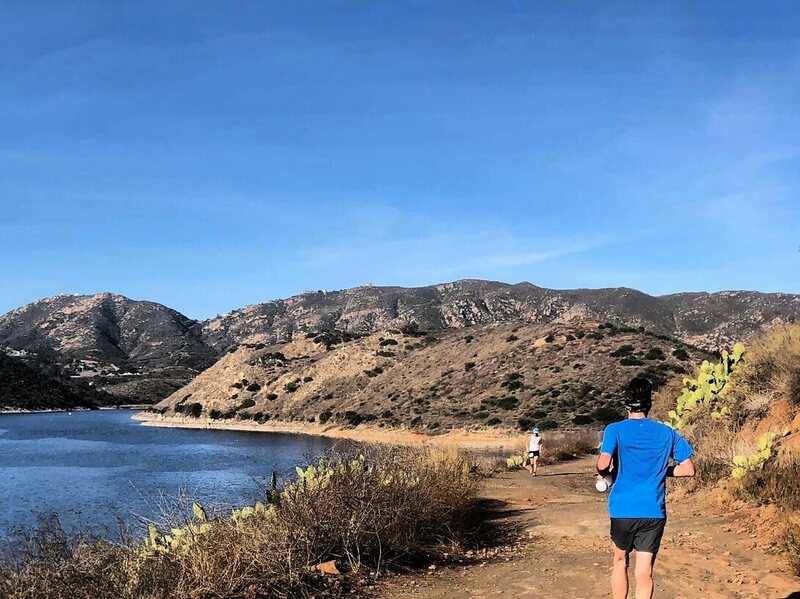 There were some areas with beautiful views, especially along Lake Hodges. However, there were some fairly flat, non-technical sections of the course. Maybe my expectations were too high because I like the San Diego area so much, heh. I felt pretty good throughout the beginning of the race. My quad (the one that bothered me during the beginning of last year) was tightening up on me a bit. Still, I kept moving steadily. After reaching the halfway point and turning around, the cumulative fatigue from the 50k the week before began to catch up to me. I knew I didn’t have much left in the tank. I slowed down but did my best to keep a slow, but steady pace. Despite the fatigue, I was able to finish with 4:25:24, which I was satisfied with for training pace. Upon finishing, I received a nice wooden “medal” as the finisher’s award and a sweet pint glass. They also gave out a really nice long sleeve cotton shirt. Their logo on all these items is really cool! I should mention that the course markings for this race were fantastic. There was never a point where I was unsure about where to go. It was also fun to run through an orange (I think they were those little oranges called ‘cuties’ рџ™‚ orchard near the start and finish area. 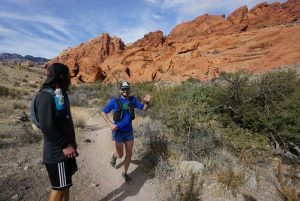 On a random day in January, a random group of runners showed up at random times to run the Red Rock Canyon 50k. 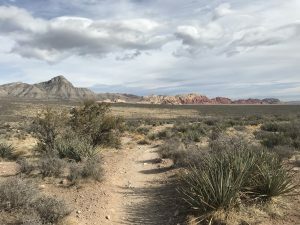 The “randomness” is tongue in cheek due to the secret entry system for the Red Rock Canyon 50k. I also use the phrase вЂњentry systemвЂќ loosely because to call this run (race? Event?) organized at all would be an overstatement. 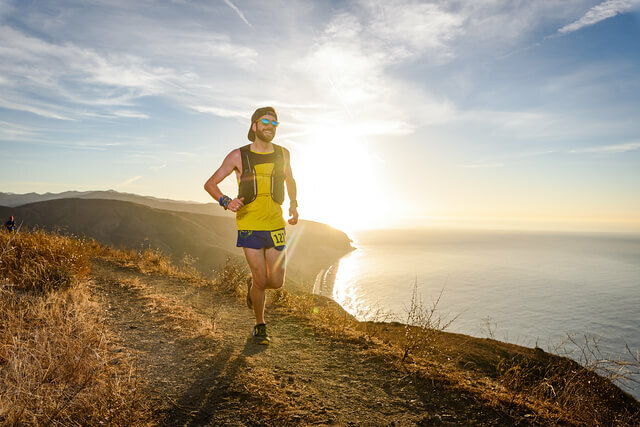 Given the secrecy and simple style of this run, how many runners do you think would show up? Quite a few, actually. 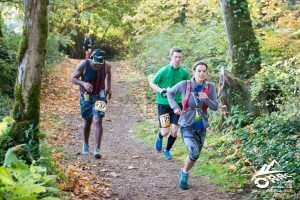 Not everyone runs the full 50k. Most do a 30k version of the course or some other modification. The 30k version of the course is also quite good. This year was the 22nd year of this event. Many from the local community (and some from outside of it) show up for many reasons. The course is beautiful. The comradery is special. The event itself is a part of ultrarunning history. Also, itвЂ™s a lot of fun to kick back after the run and enjoy some food and drink with your running friends. This year was my second time running the full 50k. 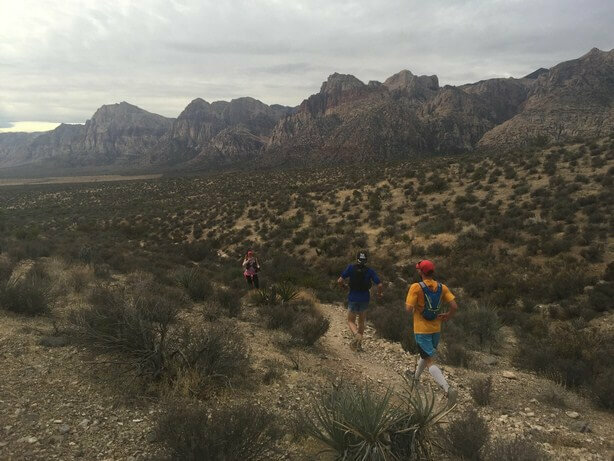 The course is absolutely beautiful with views of the Red Rock Canyon escarpment. 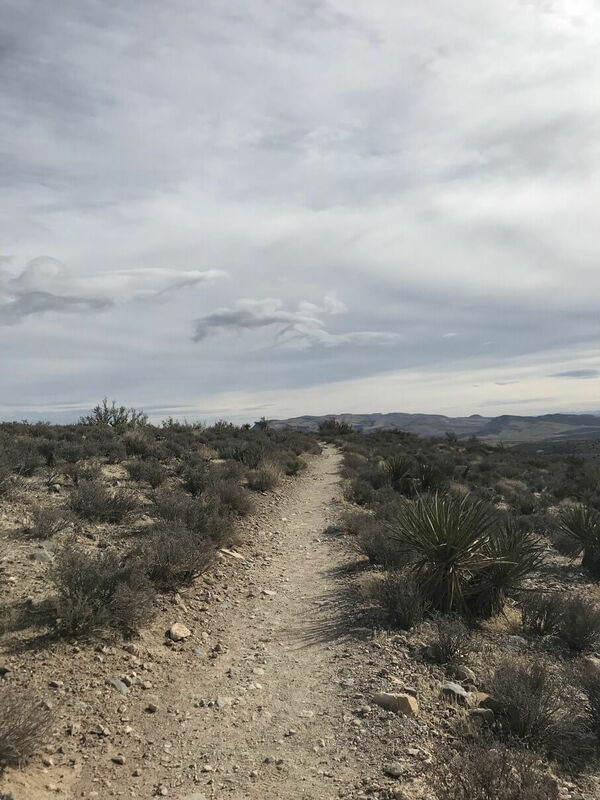 Running through Calico hills is also beautiful and White Rock Loop is one of my favorite trails in the entire Las Vegas area. Still, I had forgotten how tough this course is! It is relentless. Big climbs or rollers nearly the entire time. You never seem to get a break. It keeps pushing you. I started early, running with some friends that needed a little help navigating the course. They were running a shorter version of the course, so I stuck with them for a while. The weather was perfect. We get some really great running weather like that sometimes in the winter of Las Vegas. Part of the course is on the White Rock Loop trail, as I mentioned, and it is done washing machine style. This means that you do one loop clockwise and one loop counter-clockwise. My friend Andrew and I were discussing which direction was our preference. I realized that even though the course technically does the same loop twice, the different directions really change the flow and how the course feels. ItвЂ™s very interesting. It doesnвЂ™t feel like youвЂ™re doing the same loop twice. The washing machine style on the loop also means you encounter other runners quite a bit. This makes the run more social. ItвЂ™s fun to see everyone out there. Some friends set up makeshift aid stations at a couple of the trailheads offering various snacks and water. They also took some photos. ItвЂ™s nice when people surprise others with support like that. I cruised through the 50k in about 6 hours. I wasnвЂ™t pushing hard nor was it easy by any means. I donвЂ™t think a course like that would ever be easy. After the finish, thereвЂ™s no medal or award. ItвЂ™s just your friends cheering for you, sharing food, and conversation. Those things are better than any medal or award. Then, itвЂ™s my turn to cheer on others as they come in from their runs. This is one of Keira HennigerвЂ™s races. 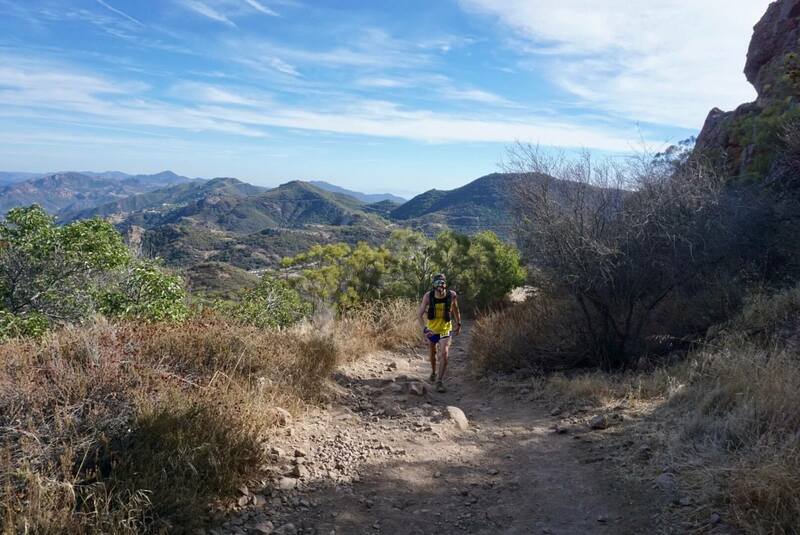 It offers a 30k, 50k, and 50 miler. It starts at Point Mugu State Park at the Ray Miller Trailhead. The race start is right by the ocean. ItвЂ™s such a beautiful place. You can hear the waves while admiring the Santa Monica Mountains. I chose to do the 50 miler. This race is near the end of my race season. 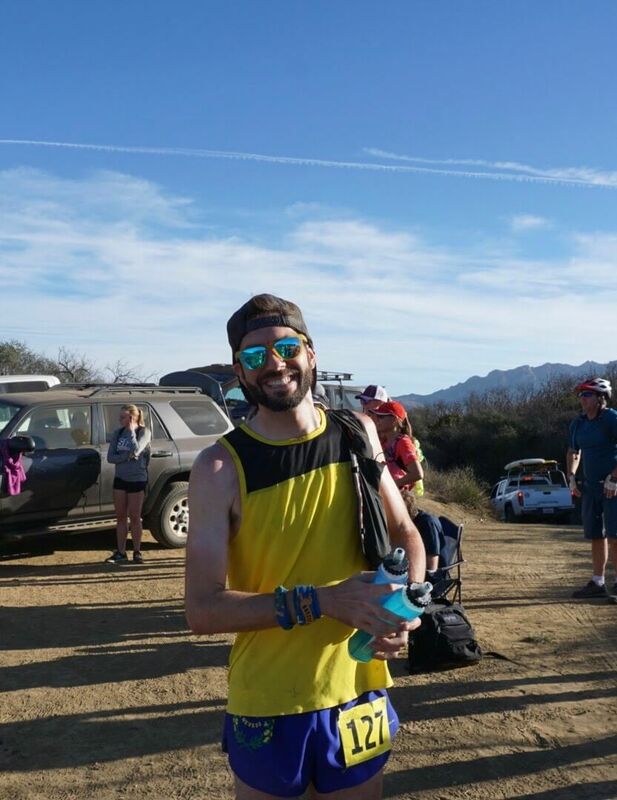 I felt like I was in good shape from the other races IвЂ™ve done this year like the 100k and two 100 milers. I didnвЂ™t really specifically train for this race. I was mostly trying to maintain my fitness while winding down for the offseason. 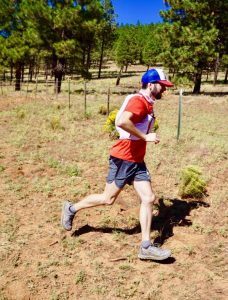 Still, itвЂ™s a 50 mile ultramarathon with 9,587 ft of elevation gain (according to my Strava), so I couldnвЂ™t just wing it. With this race in Malibu, CA, we had a lot of runners from Las Vegas travel out for it. ItвЂ™s fun how it happened. 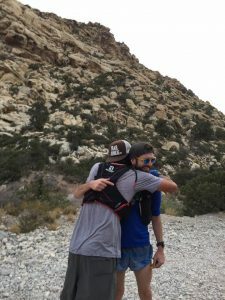 There were a few folks that signed up for it in our local trail running group, TrailRunning.Vegas, on Facebook. Later, a few more signed up. Then, friends of those people signed up. It really took on a life of its own with a lot of fun encouragement and a bit of peer pressure. At one point, we had 60+ people planning on going. As the event neared, that number was whittled down to 50+, which is still amazing. We atВ Desert Dash even had custom-made Trail Junkies hats in unique colors with Ray Miller 50/50 and the date on them. It was a lot of fun traveling out to the race with friends (telling silly inside jokes and John Music making Earth, Wind, & FireвЂ™s вЂњSeptemberвЂќ the song of our race, haha), seeing so many familiar faces at packet pickup and at the starting line, and, best of all, there was such a large group of Las Vegas runners cheering for each other at the start/finish line. 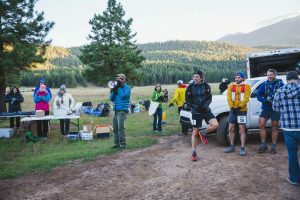 It was really special to see so many local runners setting PRs, running their first ultra, running their first 50 miler, and other notable achievements. 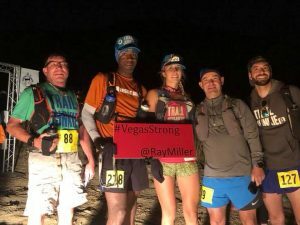 One of the runners brought a #VegasStrong sign that was used in many of the photos. Running the 50 miler meant that I would be starting before and finishing after the runners doing the other distances. Still, it was fun to see some of the other locals crossing paths out on the trails. 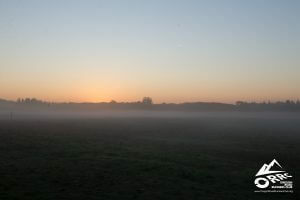 It was dark at the starting line, and I knew the sun would be coming up soon. I opted not to bring a headlamp and just rely on the light of other runners if I needed it. It probably wasnвЂ™t the greatest idea but it worked out fine. There was a nice climb at the start of the race. Many of the runners took off fast from the start! I was content to take it easy on that first climb because there was plenty of race left. As the sun came up, the sunrise with the mountain and ocean views created the kind of moment that trail runners cherish. I cruised throughout the beginning of the race, taking it easy on the climbs, and trying to stay loose on the descents. 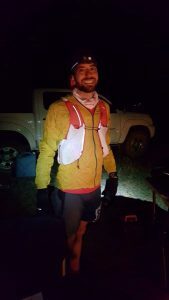 I moved through aid stations quickly and did my best to stay relaxed. There were some tough climbs near the beginning but I knew the biggest climb was closer to the end. The climb near the end makes the earlier ones look easy! 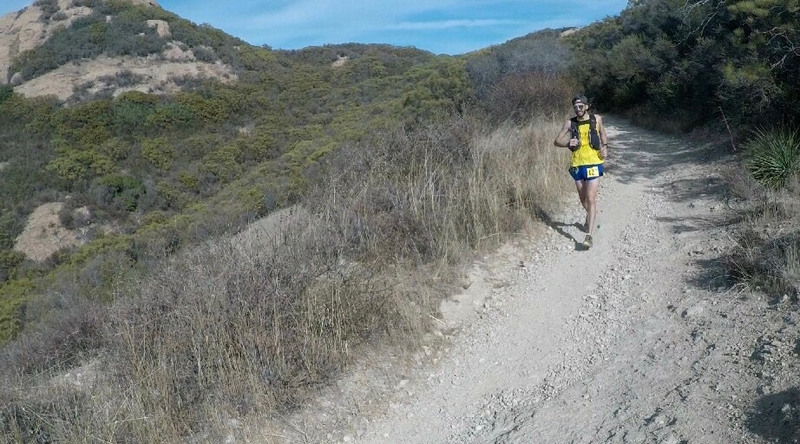 Around mile 13, I was cruising down a fun descent and I must have lost focus (I have no idea what I tripped on) because I fell pretty hard with my left shoulder and arm absorbing most of the fall, also banging my head on the ground too. At first, I thought that my race could be over now. But, I got up quickly, assessed the damage, and I seemed to be okay. My arm and shoulder were bleeding and hurt a bit but I seemed to be functional (my shoulder ended up hurting throughout the race, making it tough to maintain good arm swing form). Another silly frustration was all the brush, tree branches, and such hanging over the trail that would poke the boo-boo on my shoulder as I ran by, haha. Throughout the race, I would get questions and comments from people asking if I was okay and such. I carried on and made it to the next aid station. Fortunately, I knew a friend whom I had only previously known from Instagram was at that main aid station. It was fun to see and meet her there. It was also nice that she could help wash and clean the blood and mud off my arm. Thank you, Tam! 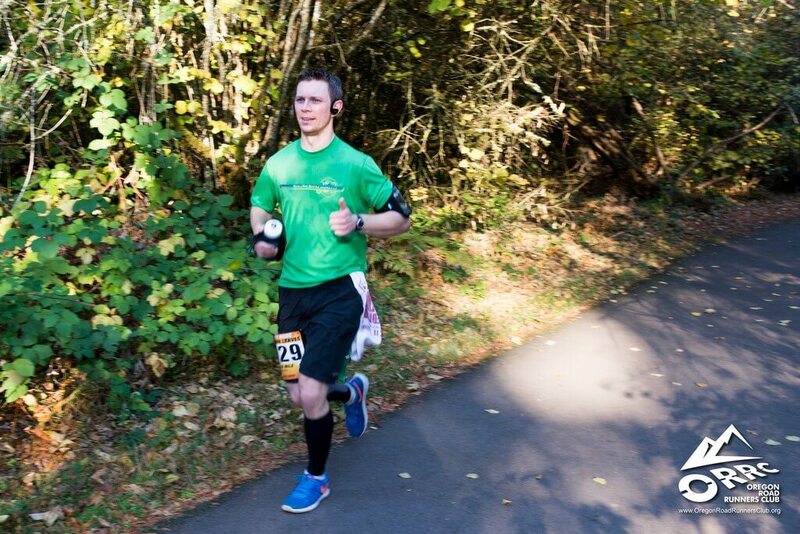 I kept up a consistent effort, fueling regularly throughout the race. My fuel and stomach seemed to be on point. I had no issues there. Even during the big climb, I kept grinding my way up it. I passed a lot of people with consistent intentional movement. There was a drop before reaching the aid station after the big climb. Just when you think youвЂ™ll get a break from all the climbing, you have to climb your way out of that aid station, haha. I also checked my phone and texted throughout the race (there wasnвЂ™t much signal) to see how other friends were doing on their races. This probably isnвЂ™t the most efficient thing to do during a race but I couldnвЂ™t help it. I love hearing about their achievements. 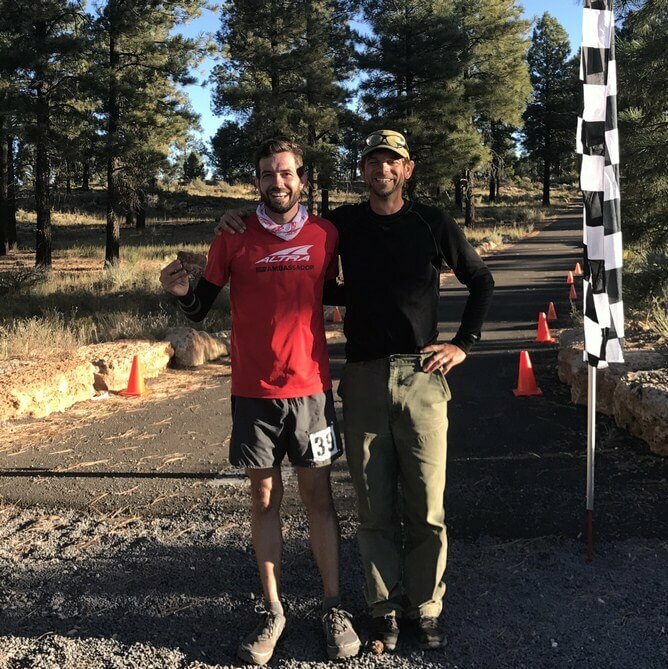 As I approached the last aid station, someone was excitedly cheering for me, until she realized I was not her son (whom she said I looked a lot like). The cheering was nice though, haha. She also told me I was in 10th place. I was a bit skeptical of that but I appreciated the news. 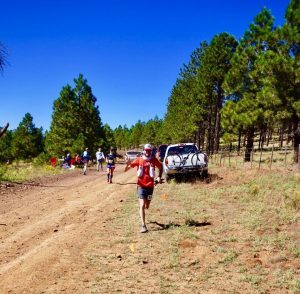 I rolled through the last aid station and I noticed a couple of runners that I pushed past on the aggressive downhill section making their way towards me. They were moving well. I was moving decently, but I felt like they were moving better. I kept consistently pushing, but they reeled me in. I was okay with this because I hadnвЂ™t simply given up, I made them work for it, and they earned it. ThatвЂ™s how it goes sometimes. 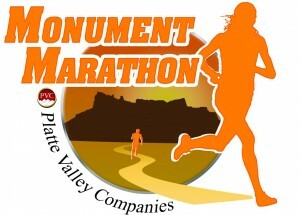 Still, I came into the finish under 10 hours, which is better than I was estimating for this course with all that vert. 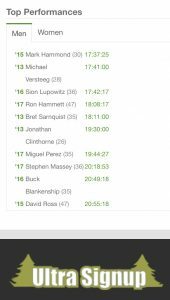 I ended up finishing 12th overall with a time of 9:55. The finish was a lot of fun because all the people milling around the finish area can see which runner is approaching on the singletrack. It was sweet to hear the local Vegas runners cheering loudly. Overall, IвЂ™m very pleased with how the race went (aside from the fall). My time was better than expected. My effort level was solid and I felt decent after the event. I would definitely attribute the results to my training throughout the year, thanks to Ian Torrence with Sundog Running. The course was beautiful and it was an experience shared with friends. After the race, I joked around with medical as they cleaned me up a bit.В I also made a point to compliment Keira on one of the most well-marked courses I have ever raced on. 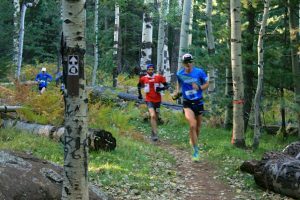 I would definitely recommend this race to others for many of the reasons I have mentioned in this write-up. 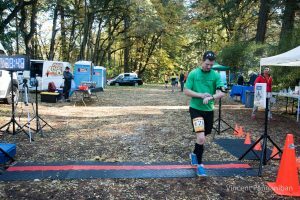 The annual Autumn Leaves 50k/50mile put on by the Oregon Road Runners Club is a great race for anyone looking to try their hand at an ultra distance for the first time or for someone like me, who looks forward to it year after year because of how easy they make it to want to come back. 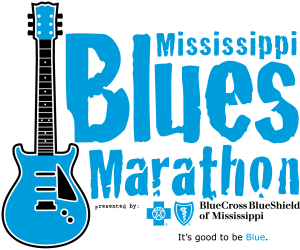 The course consists of a 10k loop, run five and eight times, respectively. 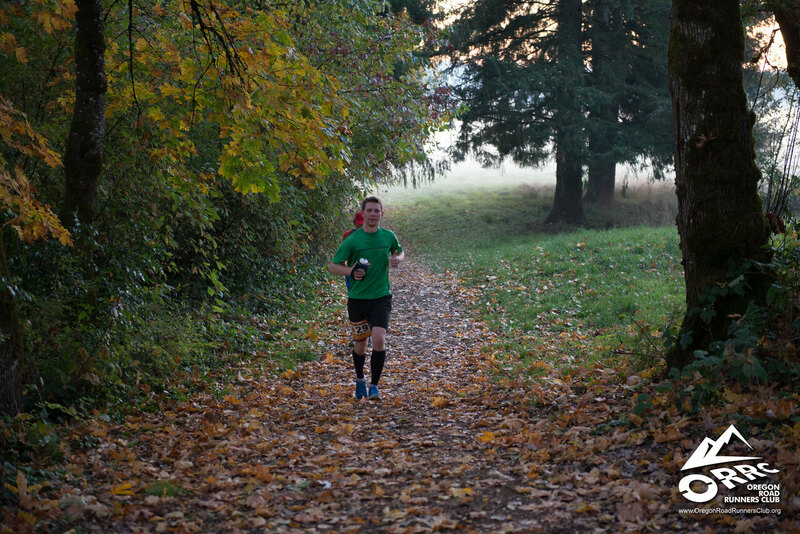 ItвЂ™s a very clean course, on well-maintained bike paths through the beautiful color-changing trees of the mid-Willamette Valley and along the Willamette River. 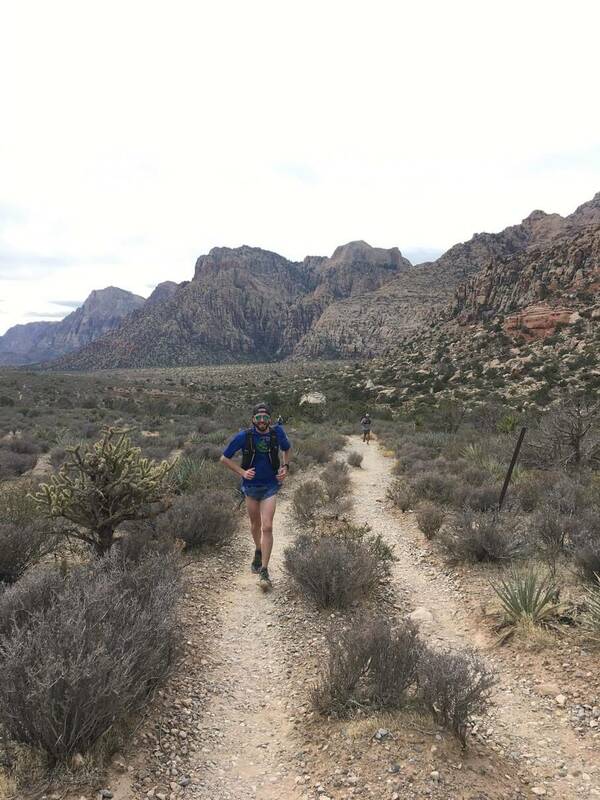 ThereвЂ™s a turnaround about three miles out, but on the way back in the course veers off onto a single trail for the final 1.25 miles of the loop. 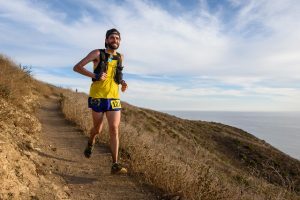 This was my sixth time running the 50 miler in the last seven years, and after 48 loops around the course, its still interesting and beautiful and a great run. I was out there this year to support a buddy of mine, who was running the 50k (his first ultra). 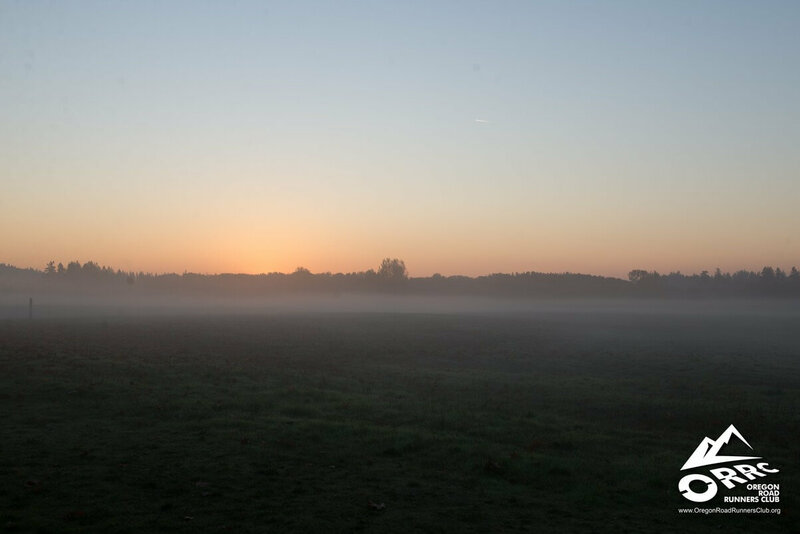 I took the early start at 6am with a goal of getting through the first lap in an hour so that when he started at 7am, we could run together for as long as possible, like we do on many Saturday mornings. Because IвЂ™m a numbers nerd, I know my lap splits for every lap of every year, and my first two laps each year are always in the 64-66 minute range. So when I hit the end of the first loop at 56 minutes, I was both excited and a little nervous, wondering if I had gone out too fast with so many miles left. I made a stop in the port-a-potty, but the 50k race was still two minutes from starting, I was feeling good, and I didnвЂ™t want to stand around and get cold. I gave my buddy a waive, told him heвЂ™d catch up to me, and took off again. 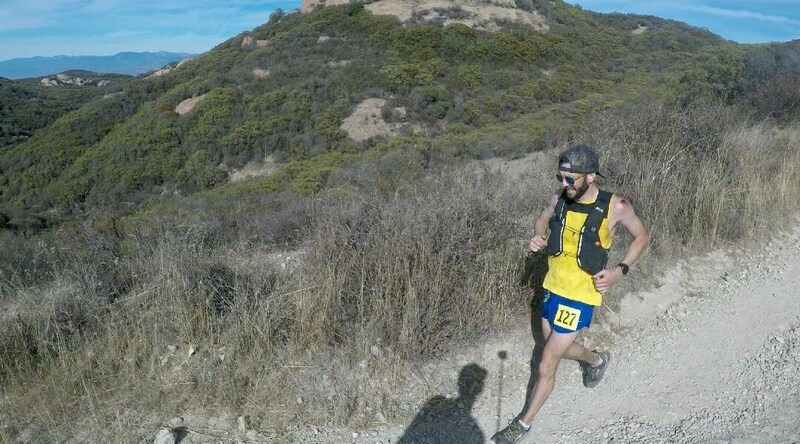 He never caught up (thatвЂ™s no knock on him, he ran a great race and finished his first ultra strong, thatвЂ™s just the kind of day it was for me). Lap 2 was more of the same. 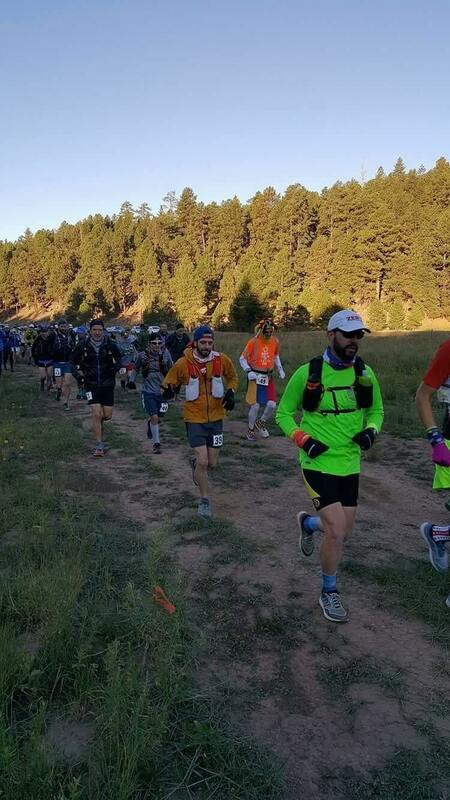 I felt great, I ran toward a perfect sunrise over the river, hit the aid station at mile 1.4 of the loop (also at mile 4.75 on the way back in) for a brief cup of tri-berry Nuun (my favorite) and finished Lap 2 in 58 minutes. At mile two of Lap 3 I was passed by a guy and gal running the 50k. I didnвЂ™t think much of it but a minute or so later I had the thought to catch up and run with them. I knew I would probably spend a good amount of the day running by myself, so the opportunity to run with others sounded like a good idea. To do that though, I had to make up the 40-yard gap they had on me. This was either going to be really good or it was going to be the reason for a crash later on in the day, I wasnвЂ™t sure which. They were running at a pretty good clip but when we got to the hill prior to the turnaround, the guy dropped back and walked while the gal powered up the hill. I followed her step for step. We cruised back in and I finished Lap 3 in 55 minutes. What?!? Lap 4 I started to feel the first signs of fatigue and ran a conservative (well, for this day anyway, not compared to any other year) 60 minute lap, putting me at 3:50 for the first 25 miles. Did not see that coming. More than that, as Lap 5 got underway, I hit the 26.2 mark right at four hours, something IвЂ™ve never been able to do in an actual marathon. Satisfying, but still a long 24 miles to go on this day. I finished Lap 5 in 67 minutes and geared up for what historically has been the most difficult lap of the race, Lap 6. Prior to the race I had budgeted walk breaks at various landmarks around the course in increasingly frequency. Usually just one minute, but in later laps I budgeted two or three minutes at the aid stations. I really was feeling good though and cut my aid station and walk times down to a minimum, 20-30 seconds at most. 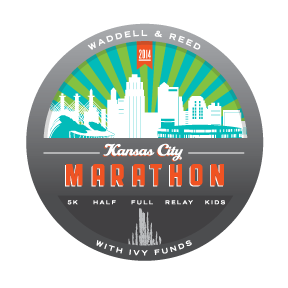 I just kept telling myself, вЂњyou canвЂ™t stay here, get moving!вЂќ There are very distinct landmarks around the course, the aid station, a bridge, the hill/turnaround, the bridge, the aid station, and then back to the start line. For 50 miles I managed the course 8-12 minutes at a time. 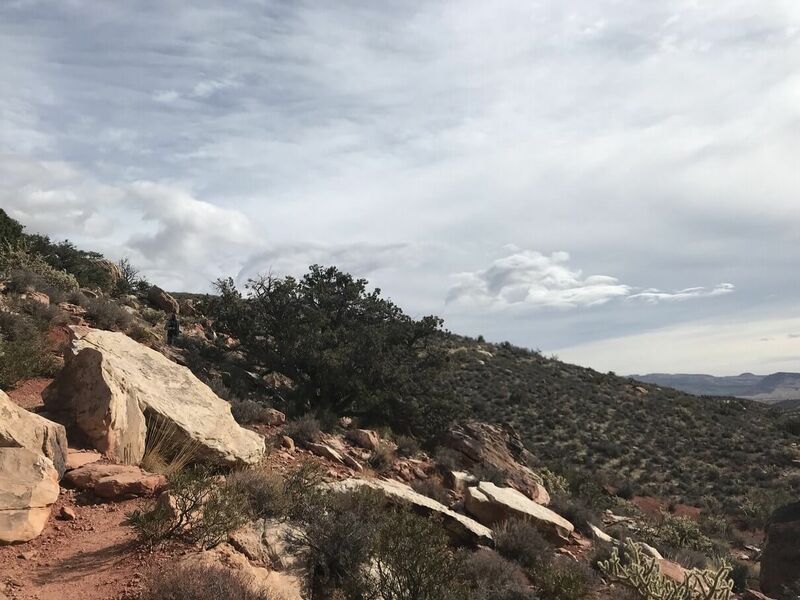 I knew where the next landmark was, I knew about how long it would take me to get there, and I knew I could run for just nine minutes to the bridge, for instance, where I could catch a quick breather, before running nine more minutes to the hill. I managed to stay in the present and run, as I mentioned, in 8-12 minute sections all day. That, combined with the brief walk breaks, made a huge difference (you can waste a lot of time walking over 50 miles if youвЂ™re not disciplined about it. The worst feeling every is getting to the end, looking at your time, and realize you spent more than and hour or so just walking when you probably didnвЂ™t need to! It all just adds up). By the start of Lap 7 I knew if I could just run two laps of 83 minutes or better that I would match my PR set in 2013 (when Steve beat me by 3 minutes in his first ultra!). Just donвЂ™t crash, I kept thinking. 12 minutes to the aid station. Nine minutes to the bridge, nine minutes to the hill, turnaround and run down the hillвЂ¦.DonвЂ™t stand here, grab some food and eat it while youвЂ™re movingвЂ¦. A 75-minute Lap 7 and all I needed to match my PR was a 90-minute final lap. Just donвЂ™t do anything stupid. Keep moving, donвЂ™t go too fast. I still felt surprisingly good, all things considered. In the past my knees have been shot by this point in the race, but though I was tired and sore all over, nothing was debilitating. I just kept moving. As I hit the final aid station on the way back in, I knew I was going to do it. I had 1.25 miles left, about 15 minutes through the trees on the trail. 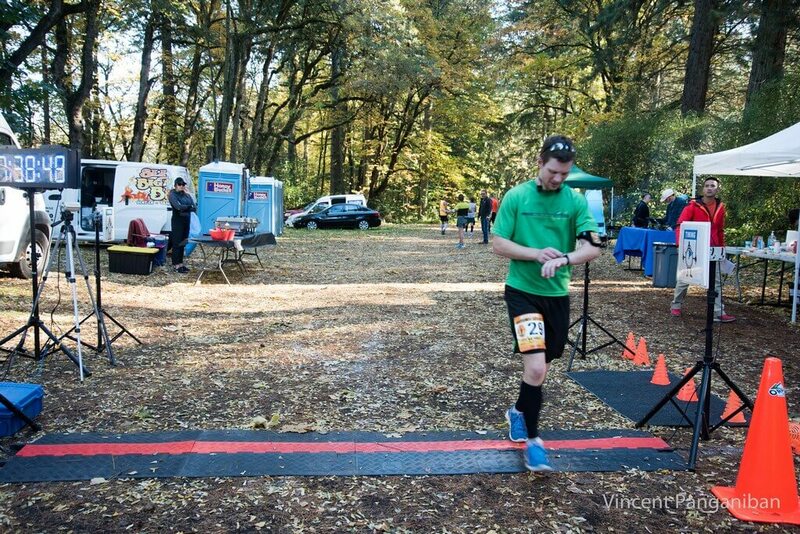 As I emerged and ran through the finish line the clock read 8:38:47вЂ¦a 17-minute PR! I made a it a few more feet before falling to my knees and with my head in my hands, wept. ItвЂ™s been a difficult few months for me as IвЂ™ve battled to overcome depression. You can read about it HERE, and watch my post-race video HERE. If someone had asked me to write down what I thought my best possible time would be on my best day, I maybe would have written 8:50. Going in, my long runs had been a couple of 15 milers and a 17 miler. I knew I would finish, I just didnвЂ™t know if it would be nine hours? 10? So to see how the day progressed, and to come in at 8:38вЂ¦man, IвЂ™m getting a little misty-eyed just thinking about it again. In short, I ran my perfect race. My perfect run. Finish Line! Look at that clock!! 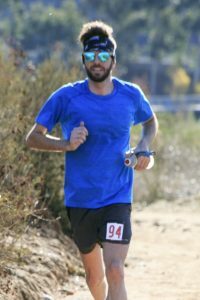 After the Tahoe Rim Trail 100 miler, I wasnвЂ™t sure if I could run another 100 miler within a relatively short period of time. I allowed myself a month to recover, and eventually felt drawn to running another hundo I was trying to decide between the Stagecoach 100 miler (obviously from the title) and the Javelina Jundred. 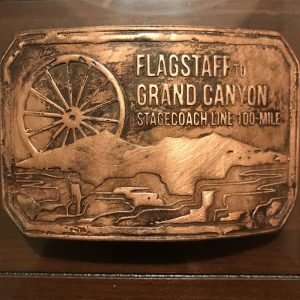 The timing of Stagecoach made more sense. 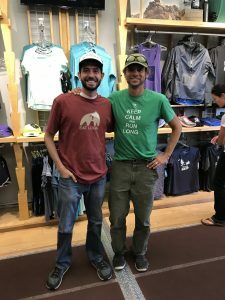 Also, Ian Torrence does my training plans and heвЂ™s the Race Director for Stagecoach, so I felt he would have some special insight for my training. Recovery/Training/Sharpening for Stagecoach went fairly well. 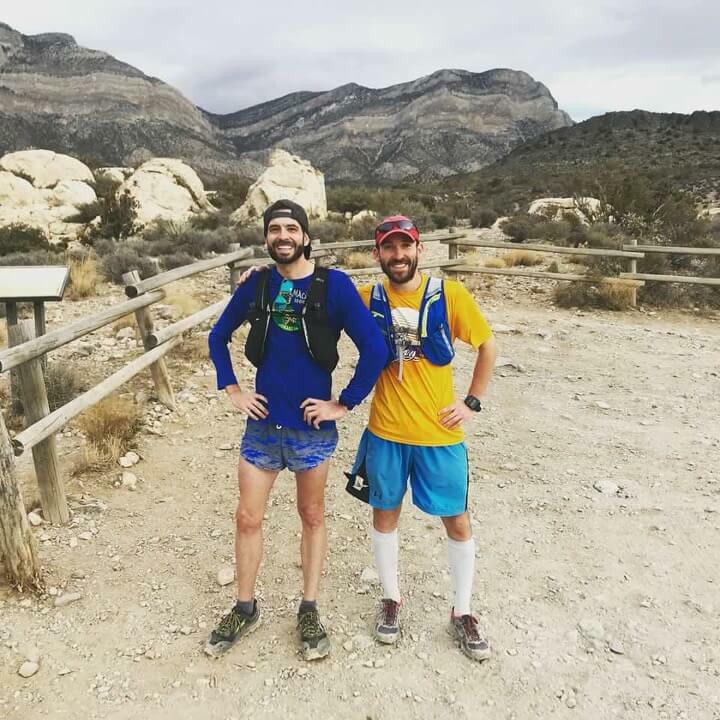 Ian had transitioned me from altitude/vert training for Tahoe to some flatter, faster runs to get me running legs back under me vs my climbing/hiking legs for Tahoe. I felt pretty good. 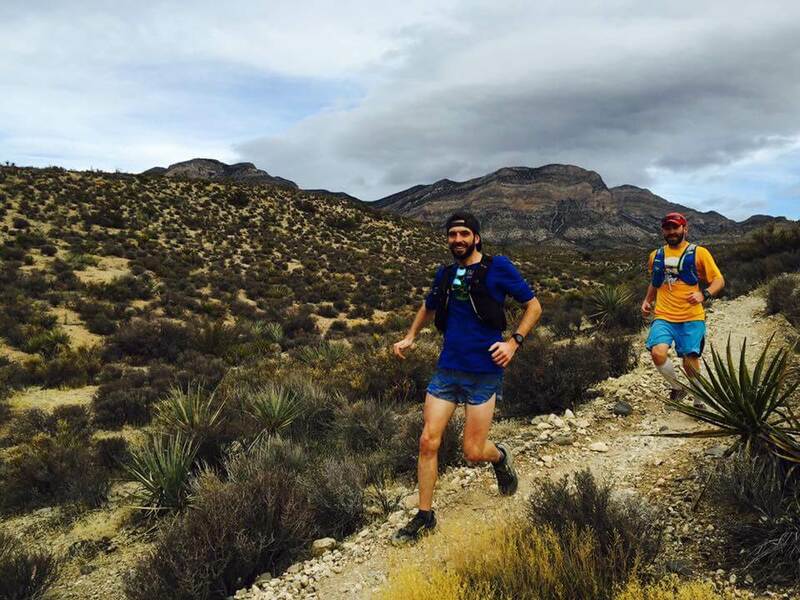 I wasnвЂ™t sure how running 100 milers so close together would affect me but I wanted to give this race a solid effort. 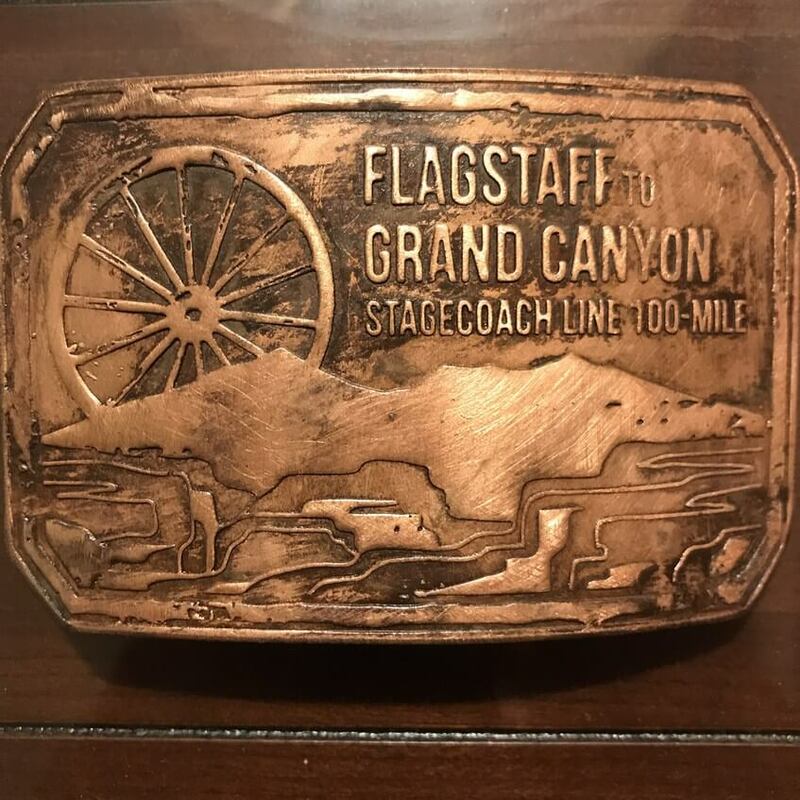 The full race name of the Stagecoach 100 miler is the Flagstaff to Grand Canyon Stagecoach Line 100 mile. Ian said it’s the longest 100 mile race name, although I’m not sure if that was just a joke. 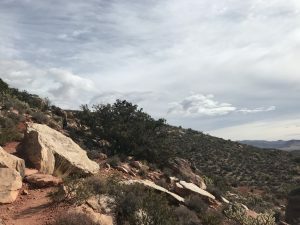 It is also one of the few races (the Appalachian Trail being the other one) that is run on a National Trail, which in this case is the Arizona Trail. My friends Ron and Marie were also doing the 100 miler. My friends Natalia and Kimberly were doing the 55k. 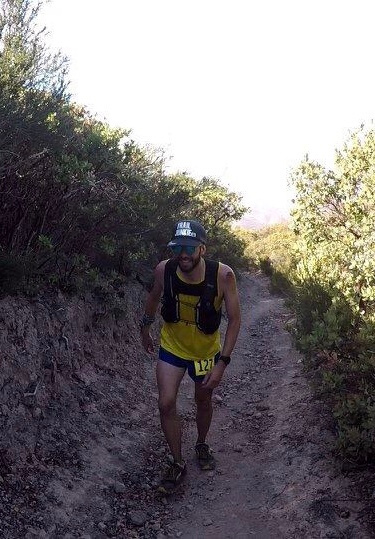 Ron was just coming off a strong run at the Run Rabbit Run 100 miler, taking 11th. For some reason, ultrasignup had me ranked ahead of him, so some teasing ensued, even though I knew he would likely beat me (but you never know whatвЂ™ll happen in a 100 milerвЂ¦ am I foreshadowing? No, IвЂ™m not. Haha). 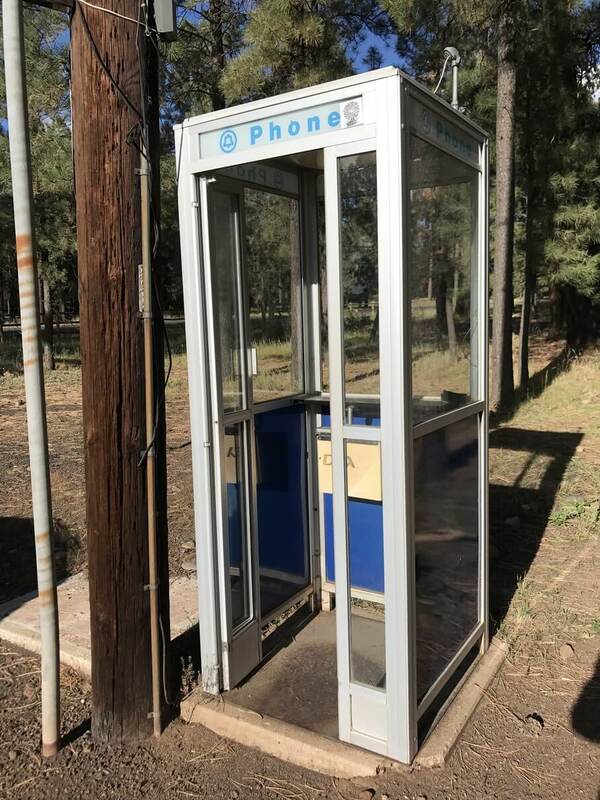 Random phone booth at Flagstaff. Felt like a piece of history! The race started at the beautiful town of Flagstaff. I had never been to Flagstaff before. I loved it! 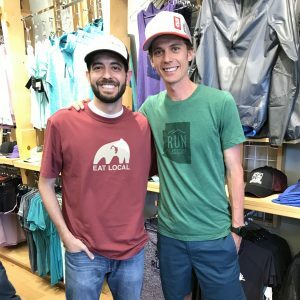 I finally got to meet Ian Torrence in person at race check in. I also got to meet Jim Walmsley. He was running the 55k. Ian told Ron and me that the field for the 100 miler was wide open and he was counting on us. No pressure, right? For added pressure, he gave Ron the #1 bib. Ha! The start of the race was chilly! I believe it was in the 20s. I used layers because I knew it would start out chilly, warm up during the day, and then get cold again during the night. I also prepared my dropbags with extra warm clothes. After some words from Ian (while Ron did some sort of angry chicken dance [see below]), we were ready to start. Ron and I ran together in the beginning for quite a bit in the lead pack. It was so beautiful out there. Unfortunately, I didnвЂ™t take many pictures. I felt like I was quite focused on racing this one well. I did a quick turnaround at the first aid station because there was a water drop a mile away and that was all I needed. I didnвЂ™t want to get delayed by the other goodies at the aid station. 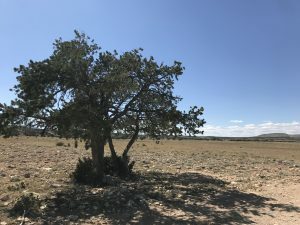 Unfortunately, when I got to the water drop, I asked where it was and someone told me there was no aid there (although one of the runners later told me there were water jugs there that I guess I had completely missed). So, I was running low on water way too early in the race. I knew I would be okay but it messed with me a bit mentally. I made it to the Kelly Tank aid station (mile 21) just fine and felt revived a bit. 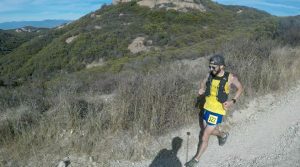 After the race, I heard Rob Krar was at this aid station and I totally missed him. Bummer! 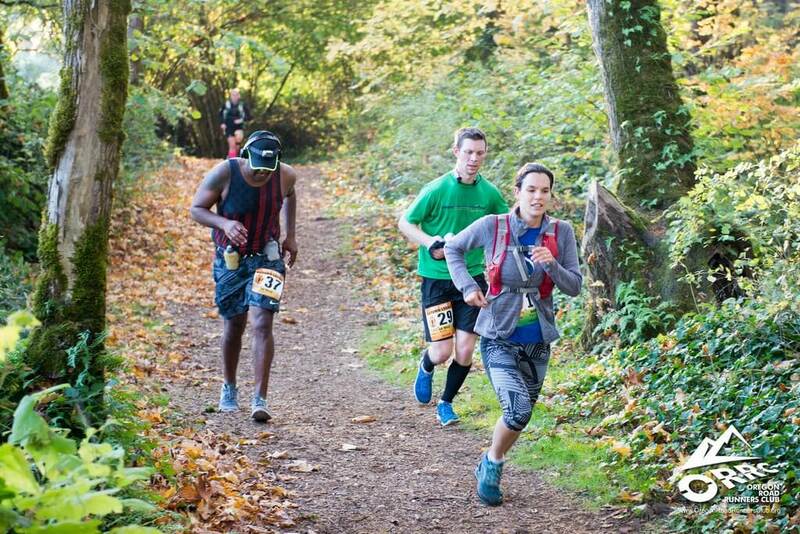 After I left, I decided to drop back from the lead pack so I didnвЂ™t overextend myself. Still, I was able to maintain a good position in the race. One other runner, Brad, passed me during this time. It was kind of funny because we were both on this open plain with the wind whipping across it. The wind gusts were so strong that you couldnвЂ™t even run. We were both walking into the wind as he eventually caught up to me. We had a friendly conversation for a while. It was his first 100 miler and I told him he was doing really well so far (mentally I hoped he hadnвЂ™t overextended himself, making it so he would be ill-prepared for those difficult last 30 miles). He moved ahead and I found a new runner to chat with, Raymond, that was closing in on his 55k finish. He was struggling a bit and I encouraged him. We also chatted about shoes since he was wearing Altras. I didnвЂ™t think much of it but he later looked me up on Strava and thanked me for the encouragement to finish his 55k strong. I guess sometimes we donвЂ™t realize the power of a few polite words to another human being. 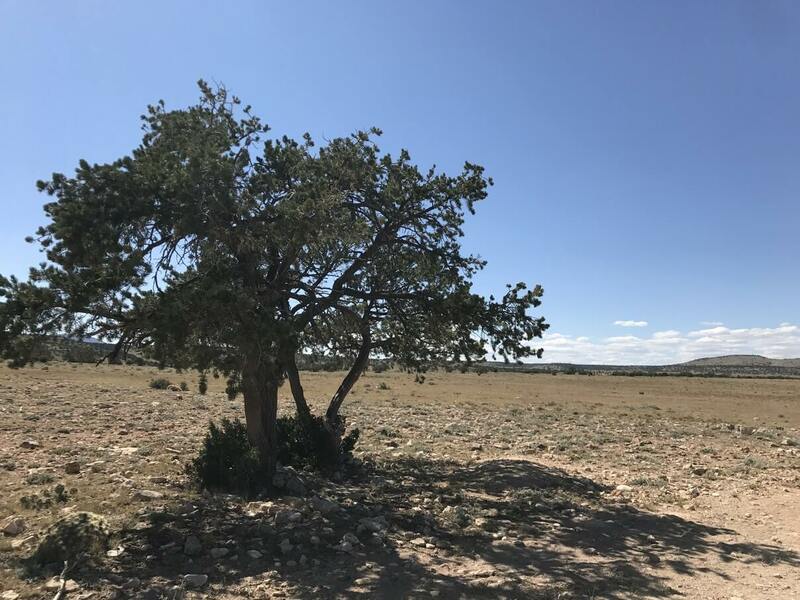 Eventually, I made it to Cedar Ranch (mile 34). Ian was there so I could chat with him a bit. I told him about my error with the water and he assured me I was fine and could make it up. It was good to hear that from him to help get me back into it mentally. Also, I want to add that the volunteers at the aid stations were outstanding! They were all so helpful in getting me in and out of the aid stations quickly. After refueling, I was on my way out, giving fellow Altra ambassador, Breanna, a high five as I left. I continued to maintain my position (5th place) in the rankings through Boundary aid station (mile 55), where I picked up my headlamp. IвЂ™ve noticed in these 100 milers that I usually do well at night. 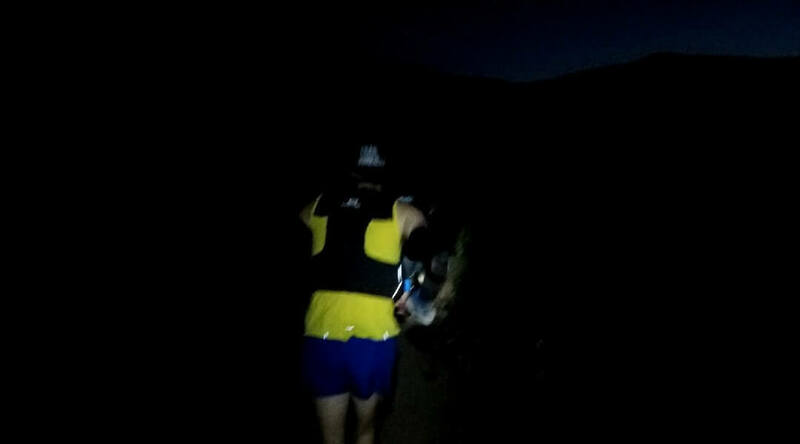 Night fell by the time I reached Russell Tank (mile 68). I felt good. The volunteers at the aid station said a runner had just left and he didnвЂ™t look great. I knew it was time for me to push a bit in the race. 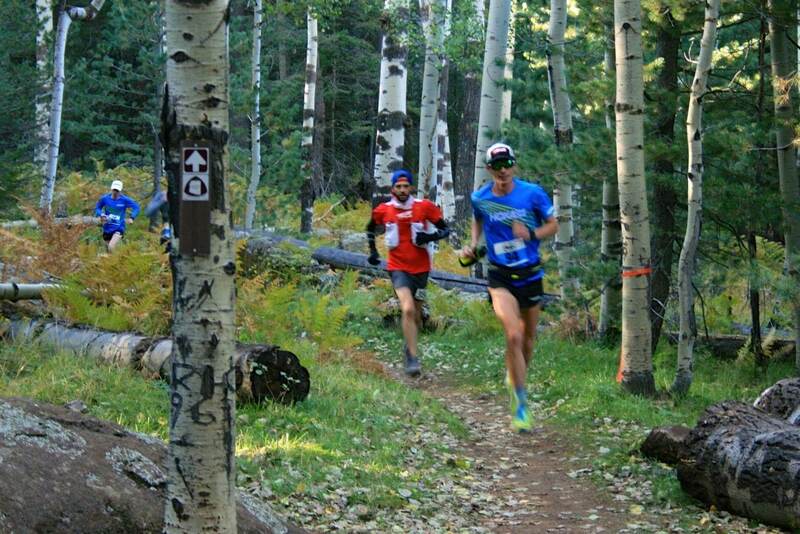 I did my best to continue my upbeat attitude that helped me so much at the Tahoe Rim Trail 100 miler. 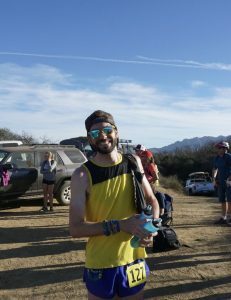 Not long after I left the aid station, I came upon Brad and his pacer. I chatted with him for a bit and ran off into the night. I try to put some distance between runners in these situations (if I can) because I donвЂ™t want to get caught in some cat and mouse game where theyвЂ™re using me as motivation to try and catch up. Again, not long after Brad, I was surprised to pass another runner, Adam, and his pacer. 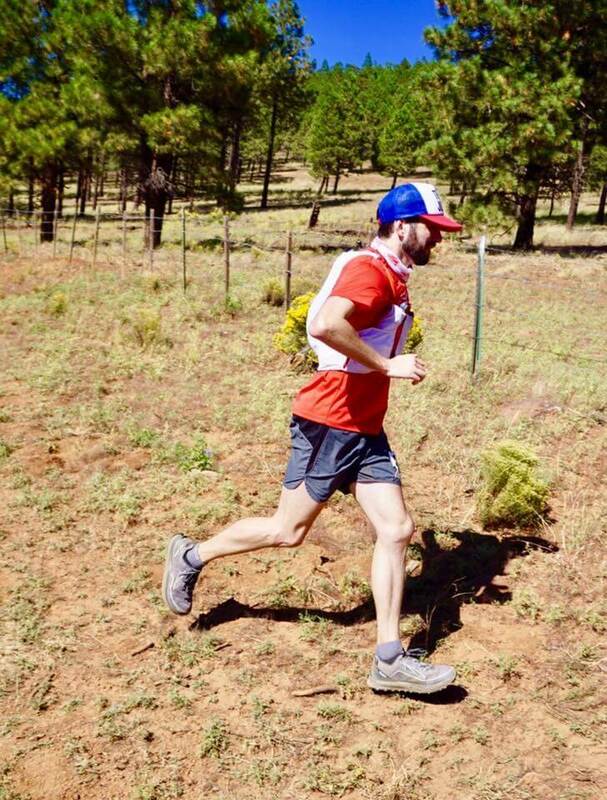 Adam was with the lead pack in the beginning and I know he was pushing hard. I hope he wasnвЂ™t blowing up after such a strong start. Again, I stopped and chatted with Adam for a bit and then ran off strong. 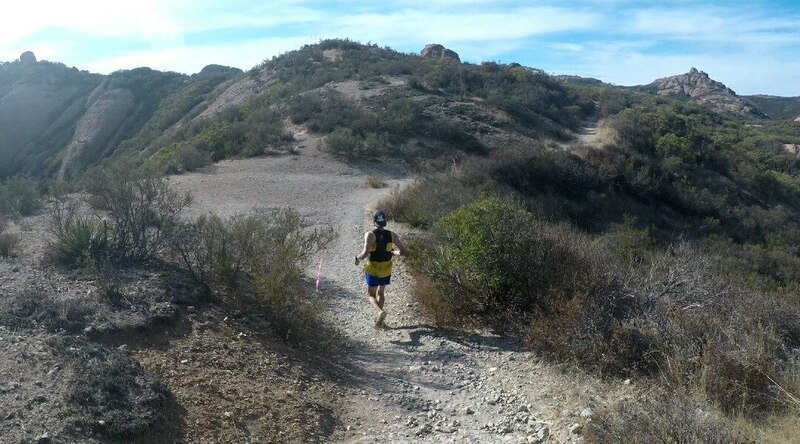 I came upon a steep downhill section after passing him that I pushed hard on to put some distance between us. It didnвЂ™t feel great on quads that had nearly 80 miles on them. The next aid station was Hull Cabin (mile 80) where they confirmed I was in 3rd place. Yes! I just needed to hold on to this. 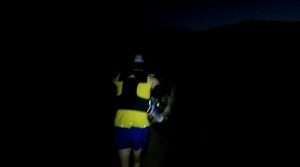 There was an out and back to Hull Cabin and as I ran out past Adam, I did my best to run strong (to hopefully discourage further chasing). I cruised into Watson Tank (mile 88) where my friends, Aaron, Doug, and Jean from Las Vegas, were crewing. It was a boost to see them. Doug assured me that 4th place wasnвЂ™t close to me. I got my jacket on (because it was getting really cold!) and headed out. Before the jacket, I was only wearing a shirt, arm sleeves and gloves. I had felt fine. But, suddenly, the temperatures plummeted. I got really cold. 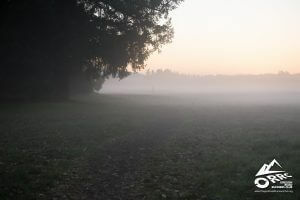 It didnвЂ™t help that I was struggling a bit so I wasnвЂ™t moving fast (which would warm me up). My headlamp started dimming a bit and I thought I should replace the batteries but my fingers were cold. I wish I had because at about mile 94, I turned around and saw two headlamps coming towards me. I let out an audible, вЂњNooo! !вЂќ and, out of pure instinct, I bolted. I was struggling before this but now I was running with whatever I had left. My headlamp was dying so I turned on the flashlight from my iphone for more light. I knew they saw my headlamp because they were chasing too. I kept it up, mile after mile, but I couldnвЂ™t drop them! I didnвЂ™t know how much longer I could keep it up. I didnвЂ™t know how much longer my headlamp was going to last. My iphone battery was nearly at 0%. Was I about to lose the podium spot at the very end of the race? Were my lights about to die at the very end of the race causing me to replace batteries mid-chase? I couldnвЂ™t think about that. I had to just keep moving as best as I could. I finally put some distance between us on the last mile or so. What a relief and elation as I cruised into the finish in 3rd place overall! I had set a new PR for myself for 100 miles of 20:18. I asked Ian if he was a hugger and gave him a big hug. I was so pumped. I got a sweet copper buckle, a water bottle, and a $75 gift card to Run Flagstaff (which I used for my newfound Goodr sunglasses addiction). 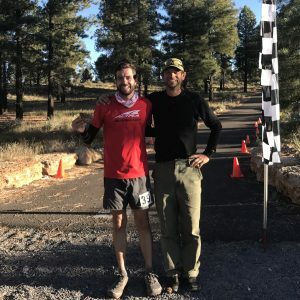 My friend Ron took 1st place overall with a time of 18:08. Our friend Marie took 3rd female. 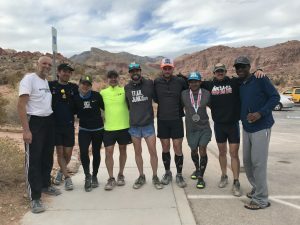 It was really cool to see Las Vegas trail/ultra-runners on 3 of the 6 podium spots. We also had some great training plans (Thanks, Ian!). 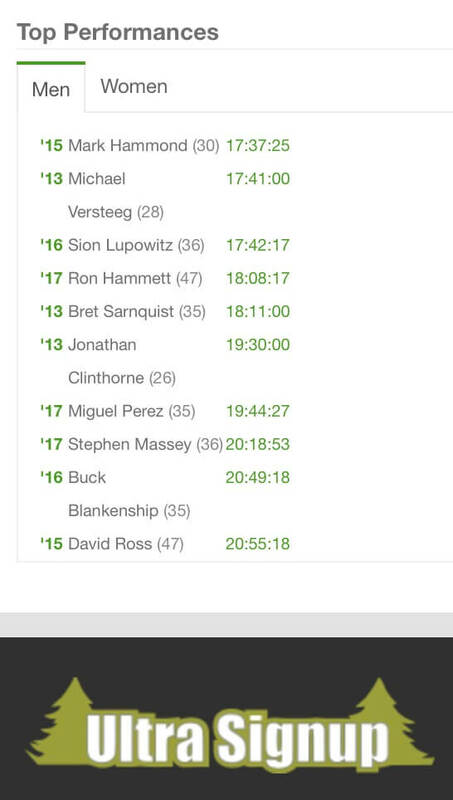 I also noticed later that my time was 8th on the all-time Stagecoach 100 mile times. Ron and MarieвЂ™s times are up there too! 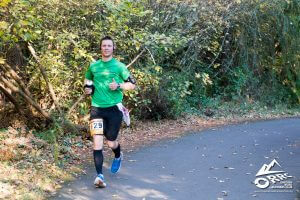 It ended up that the headlamps behind me were from relay runners, not 100 mile runners! I wouldnвЂ™t have guessed that because the relay runners always run by themselves (that I saw) and I knew the 100 miler runners behind me had pacers. Oh well, it pushed me to a strong finish and a PR! Gear: Altra Timp shoes, Altra shirt, Desert Dash Trail Junkie hat, Patagonia Strider Pro shorts, Injinji socks, Salomon Sense Ultra 5 set pack. Nutrition: Gu Roctane Energy Mix, Honey Stinger waffles, Honey Stinger chews, GU gels, fruit squeezes, and various items from aid stations, especially coke.